1. Update speed is overwhelmingly fast! 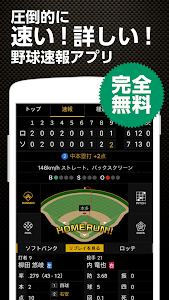 The results for each ball at bat will be reported in near real time from the actual game! There is a wealth of data, such as the player's detailed results and game information. 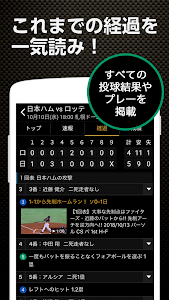 It is also useful for watching the site and TV. 3. Easy to see visual screen! Including the allocation chart, it is full of visual information such as runner situation and position map. You can enjoy breaking news visually and intuitively. 4. 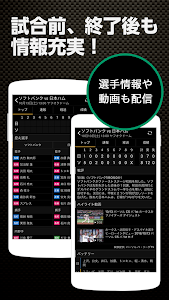 High school baseball and Tsubaki Japan are also breaking news! 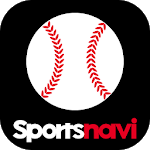 Not only professional baseball, but also high school baseball, Tsubaki Japan, and major league (MLB) games with a focus on Japanese players. 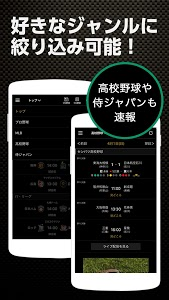 Top page You can also narrow down the list of matches you want to see by tapping "Top" at the top of the screen. If you set your favorite team, it will be displayed at the top of the match list. 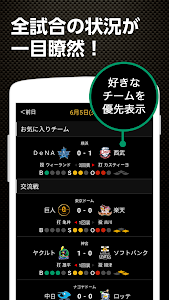 You can receive notifications at the start of the game or when you score points, so you won't miss important scenes. The following functions are available by selecting a favorite team on the basic setting page in the menu. You can look back on all throws and play results from the "Show Replay" button. You can watch videos such as highlight scenes and hero interviews. For professional baseball, you can check the schedule of all official games by team from the calendar icon at the top of the game list. You can receive notifications of various match information below. 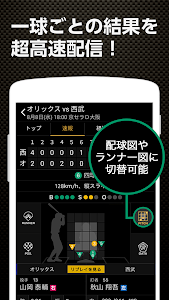 · Pitcher results: number of balls, defense rate, strikeouts, etc. If you have any problems or comments, please contact us from the "Report Bug" on the app menu and the "Contact Form" below.